Robert Rauschenberg (born as Milton Ernest Rauschenberg in Port Arthur, Texas, U.S., died in Captiva, Florida, U.S.) was a famous Artist from USA, who lived between October 22, 1925 and May 12, 2008. He became 82 years old. Robert Rauschenberg (born 22 October 1925 in Port Arthur, Texas, died May 12, 2008 in Captiva Island, Florida) was a Jewish-American artist. He was featured as one of the most important artists in the United States in the latter half of the 1900s. Rauschenberg studied at art school Black Mountain College in the United States, under the former Bauhaus profile Josef Albers. Rauschenberg said later that Albers' sense of discipline and methodical approach to art inspired him to do the opposite. 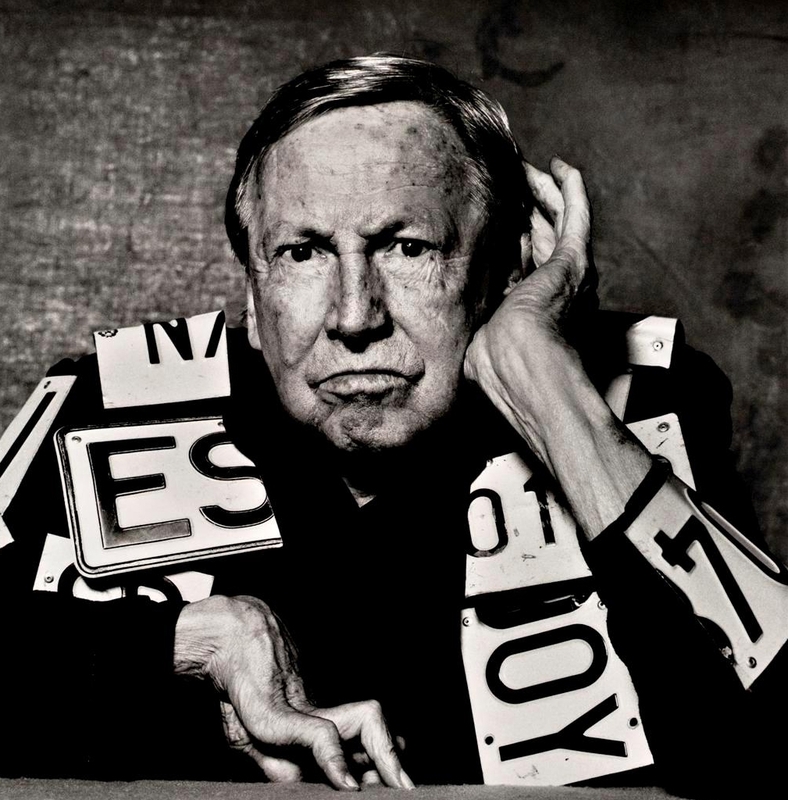 Rauschenberg had great significance for the development of American art in 1950 - and 60-century, and his use of readymades and quotations from popular culture was seen as an alternative to the dominant abstract expressionism, and as a precursor of pop art. Like Jasper Johns' work was Rauschenberg's art referred to as "Neo-Dada" (Dadaism) in the 1950s, due to the mixture of high and low cultural references, and the juxtaposition of different objects, techniques and materials. He is born under the zodiac libra, who is known for Balance, Justice, Truth, Beauty, Perfection. Our collection contains 30 quotes who is written / told by Robert. "The only thing that I could get with chance, and I never was able to use it, was that I would end up with something quite geometric or the spirit that I was interested in, indulging in, was gone"
"I'm not so facile that I can accomplish or find out what I want to know or explore enough of the possibilities and a way of making a painting, say, in just one painting or two paintings"
"And I think that even today, New York still has more of this unexpected quality around every corner than any place else. It's something quite extraordinary"
"I don't think any one person, whether artist or not, has been given permission by anyone to put the responsibility of the way things are on anyone else"
"I don't mess around with my subconscious"
"Well, I like way downtown near the Battery. I lived down there at this time and for, I guess, the following well, this is where I moved to uptown and I've been here for four years and this is 1965"
"Oracle was I had started it I guess two and a half years ago, maybe even longer than that, closer to three"
"I always have a good reason for taking something out but I never have one for putting something in. And I don't want to, because that means that the picture is being painted predigested"
"Every time I've moved, my work has changed radically"
"But I was in awe of the painters; I mean I was new in New York, and I thought the painting that was going on here was just unbelievable"
"The artist's job is to be a witness to his time in history"
"I wouldn't use the same color in a picture in more than one place"
"I got so I was really just sick of sculpture"
"And I think a painting has such a limited life anyway"
"So that ideas of sort of relaxed symmetry have been something for years that I have been concerned with because I think that symmetry is a neutral shape as opposed to a form of design"
"I'm sure we don't read old paintings the way they were intended"
"I did a twenty foot print and John Cage is involved in that because he was the only person I knew in New York who had a car and who would be willing to do this"
"A newspaper that you're not reading can be used for anything; and the same people didn't think it was immoral to wrap their garbage in newspaper"
"Very quickly a painting is turned into a facsimile of itself when one becomes so familiar with with it that one recognizes it without looking at it"
"And all of this, all these physical aspects of painting at that time excited me very much. You could do a picture in just black and white. I mean all the things, whether you're soliciting permission or not, do give you permission"
"Pollock also... wanted one to be wrapped in the painting"
"One can see that a canvas is six feet by eight feet, say, quite accurately. But you can spend two minutes and think it's five, or thirty seconds and it's just a different bed for activities there"
"I think maybe chance works better in a situation like music because music exists over a period of time, and you don't maintain constantly the you can't refer back from one area to another area"
"I think a painting is more like the real world if it's made out the real world"
"But I found a lot of artists at the Cedar Bar were difficult for me to talk to"
"And also the new excitement and variety of ways that the abstract expressionists were applying paint. You could put it on as though it were colored air and it would be painting"
"There was a whole language that I could never make function for myself in relationship to painting and that was attitudes like tortured, struggle, pain"
"If you don't have trouble paying the rent, you have trouble doing something else; one needs just a certain amount of trouble"
"An empty canvas is full"